1. 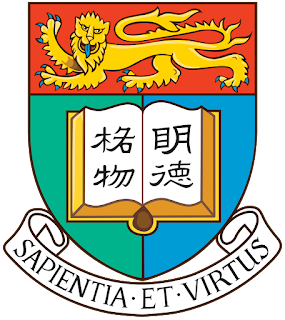 Hong Kong PhD Fellowship (HKPF) Scheme. 2. University Postgraduate Fellowships (UPF). HKPF and UPF are available for selected full-time PhD students. New applicants to full-time PhD programmes in government-funded institutions in Hong Kong, irrespective of their country of origin and ethnic background, are eligible to apply. Applicants should demonstrate outstanding academic performance, research ability/potential, communication and interpersonal skills, and leadership abilities. The HKPF provides each awardee with a monthly scholarship of HK$10000 (US$2,560) and a conference and research related travel allowance of HK$10,000 (US$ 1,280) per year for a period up to three years. For HKPF awardee who are admitted to 4-year PhD Programme in 2017-18, the University will provide a monthly scholarship and travel allowance at the same level as the HKPF for their fourth year of study. HKU University Postgraduate Fellowships are available for selected full-time PhD applicants with an excellent academic record. The Fellowship is worth HK$ 70,000 (US$ 8,970), which is awarded on top of the Postgraduate Scholarship (see below)*. *US$ 2,990 per year X 3 years or US$2,242 per year X 4 years, depending on whether it is 3- or 4-year PhD Programme. PGS is available for selected full-time MPhil and PhD students who hold a first degree with second-class honours first division (or equivalent) or above are normally considered eligible to receive a Postgraduate Scholarship during the normative study period. Candidates’ results in Master’s degrees may also be considered. Scholarships are available for the duration of students’ nominative study period. Step 1 - To apply HKPFS reference number by submitting an Online Initial Application from http://cerg1.ugc.edu.hk/hkpfs/apply.html to the Research Grants Council (RGC) through RGC's on-line system from September 1 noon till December 1, 2016 noon. Step 2 - To apply HKU application number by summiting an on-line application form and upload soft copies of supporting documents via the on-line application system of HKU from September 1 till December 1, 2016. You are required to indicate that you are applying for the HKPF in the on-line application form and quote the reference number assigned to you by the RGC. There is no separate on-line application form for UPF and PGS; you may apply in the same application form at the HKU Online application system.